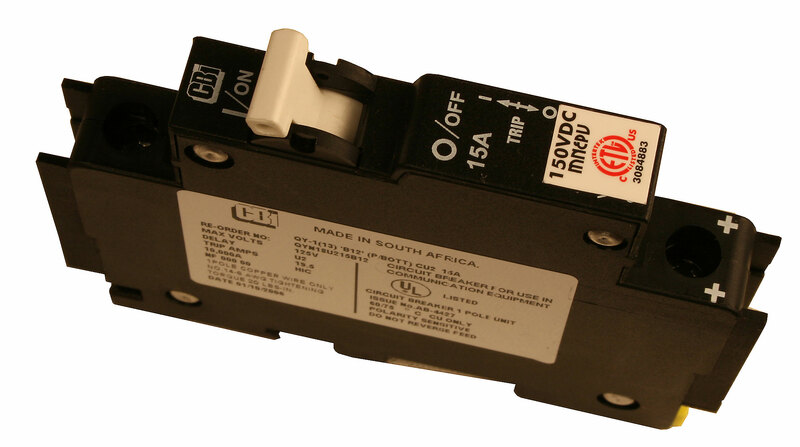 Midnite Solar circuit breaker compatible with din mount. 6A, 150VDCV. For use with a solar energy system. qualifies for PV solar tax credits and rebates.